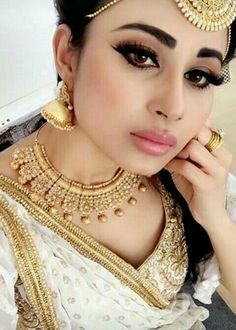 Mouni Roy is an Indian actress of film and television and model. She is best known for television roles as Krishna Tulsi in the soap opera Kyunki Saas Bhi Kabhi Bahu Thi, Sati in the mythological series Devon Ke Dev…Mahadev and Shivanya Ritik Singh and Shivangi Rocky Pratap Singh in the supernatural series Naagin. She also portrayed the role of Meera in Junoon – Aisi Nafrat Toh Kaisa Ishq. She also appeared in celebrity dance reality show Jhalak Dikhhla Jaa in 2014. She made her Bollywood debut in the 2018 historical sports-drama film Gold, opposite Akshay Kumar. Born on September 28, 1984 in Kolkata, India, to parents Mukti and Anil Roy, she has one younger brother named Mukhar. She completed her schooling till class 12th from Kendriya Vidyalaya in Baburhat, Cooch Behar. Mouni started her acting career in 2007 with the Ekta Kapoor’s series Kyunki Saas Bhi Kabhi Bahu Thi playing the role of Krishna Tulsi. *She was born on September 28, 1984 in Kolkata, India. *She is the granddaughter of well-known Jatra theatre artist Shekhar Chandra Roy. *She is a trained Ballerina and Kathak dancer. *She began her acting career in 2007. *It was announced that Mouni will appear in Ayan Mukerji’s Brahmastra, alongside Ranbir Kapoor, Alia Bhatt and Amitabh Bachchan.